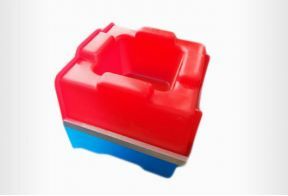 5.We are the original designer,the complete house building drawing with blocks can be offered. 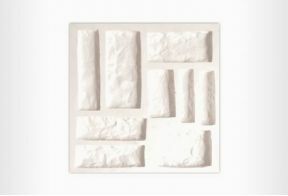 6.The smooth inner lip make the molds easier to release. 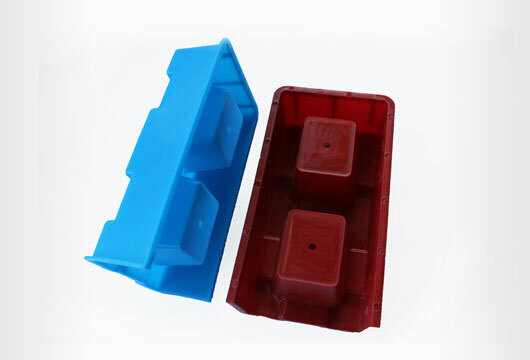 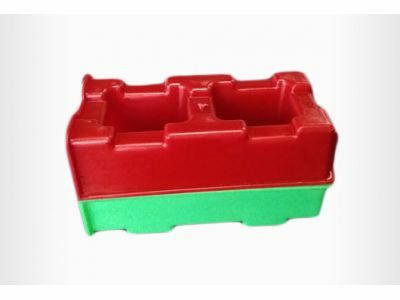 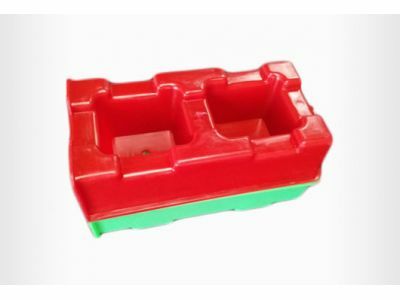 This is our newest design of block mould, made of PP(EP200K) plastic, with size of 300*150*150mm for the full mould, 150X150X150mm for the half mould. Warranty for this mould can be above 1500 times, just need a vibrating table and pan mixer then you can do producing, it's a perfect choice for a small and medium-sized factory. 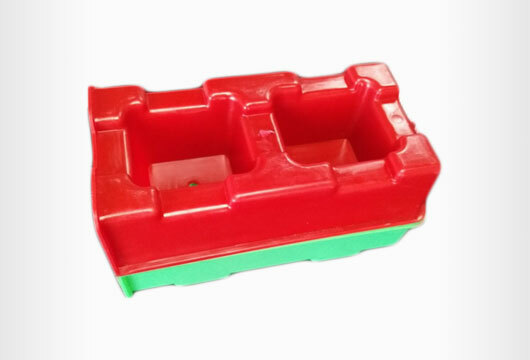 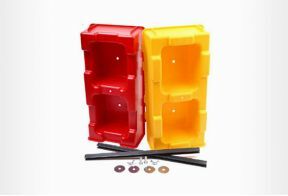 It can replace the normal block machine to produce the concrete blocks for your house building, also the final block from this mould is with smooth surface and easy to paint and decorate the indoor and outdoor wall. 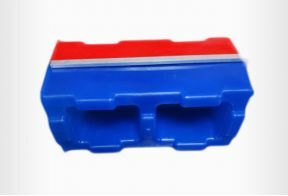 Most importantly, this block can be 100% interlock together which will save more cement during building and more stable structure for the whole house. 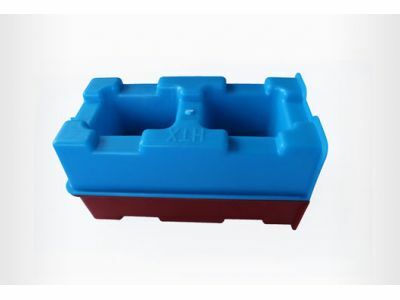 With this mould, Blocks/Bricks can be made with unskilled labor on site, Construction can be achieved with unskilled labor. 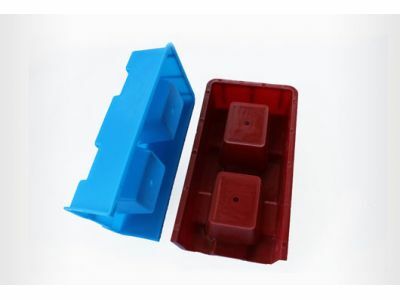 Now this block is widely used in Thailand, Malaysia, Arab countries, and Africa countries, as it is in advantage of saving transport costs, saving energy, fasting building and longevity. 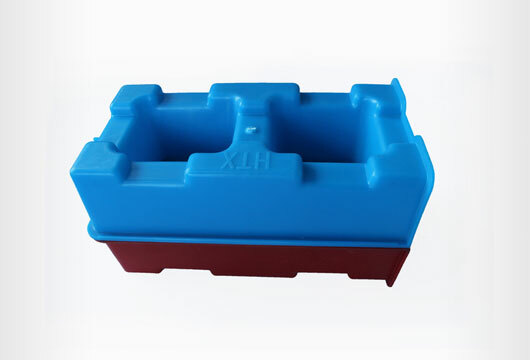 C. To get the strong block, except the aboved points, you should vibrate to release the air, and make cement and other materials fasten each other.